Welcome home! 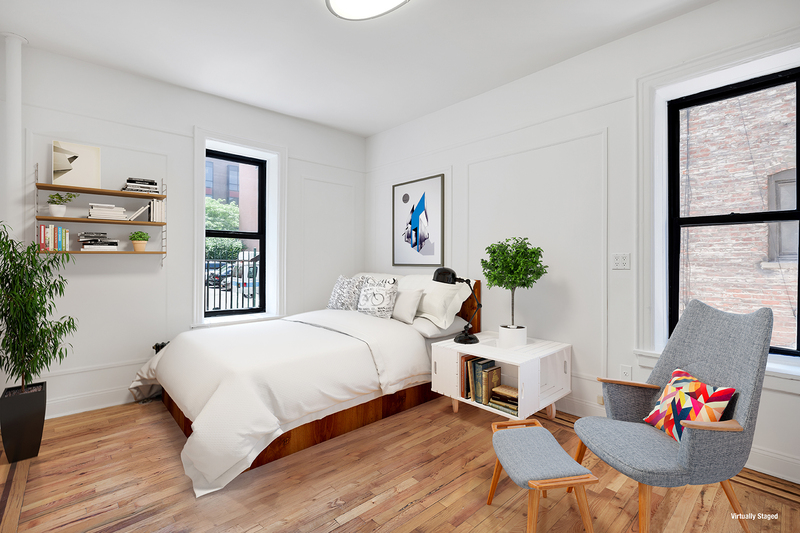 This studio, located in the beautifully renovated St. Ann Court condominium, is beaming with southern and western light throughout the day. This home is uniquely positioned on the parlor level and overlooks the building's private garden, creating a quiet and extremely relaxing retreat. The generous foyer has a large floor-to-ceiling closet and offers additional storage options. 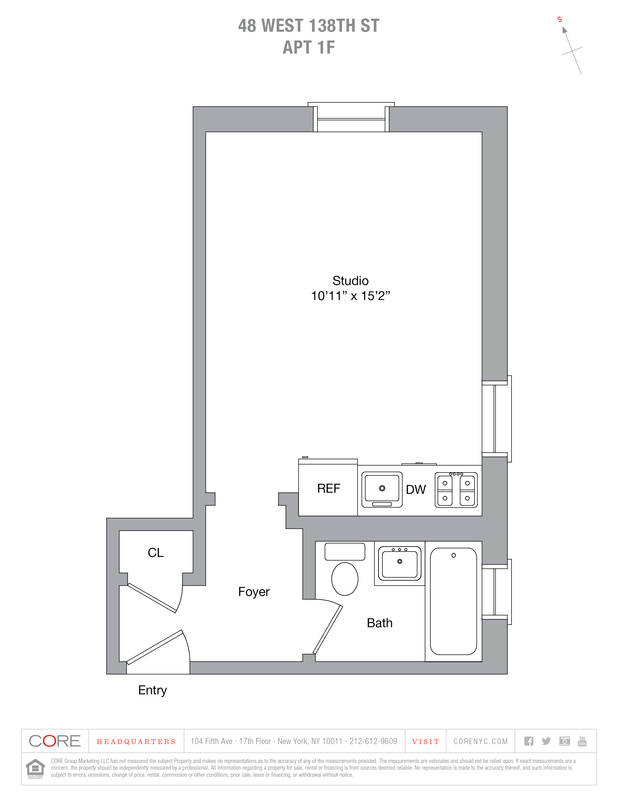 The proportions of the studio offer enough room to position furniture to your specifications while the windowed bathroom remains true to pre-war style featuring a beautiful full bathtub, subway tile, and pedestal sink. The perfect combination of Old World charm and modern convenience, this home features tall ceilings, wall trim and molding, beautiful hardwood floors, a dishwasher and gas stove.